In the aftermath of the global financial crisis, the world has witnessed increasing manifestations of eroding trust in the international trade regime, including Brexit and the Trump administration's unilateral trade policies. Restoring trust in the international trading system is essential to prevent the rise of economic nationalism and beggar-thy-neighbour policies, which as history has shown are a threat to global welfare and peace. As a scholar, counsellor of the WTO Appellate Body Secretariat, and, between 2009 and 2017, a member of the WTO Appellate Body, Peter Van den Bossche has addressed the challenges faced by the international trade regime and has tirelessly promoted trust in the multilateral governance model. 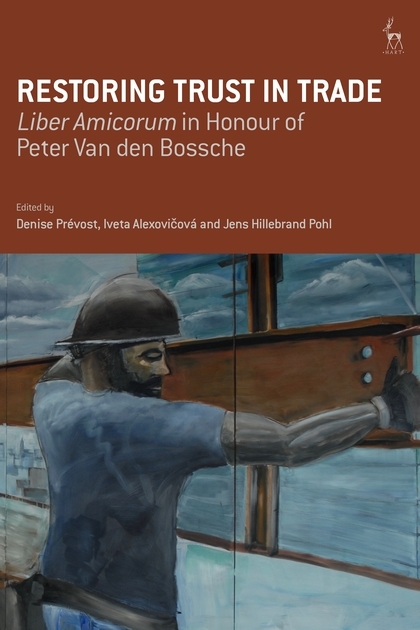 This Liber Amicorum honours his contribution to the development of a 'trustworthy' rules-based multilateral trading system, which has left a lasting legacy. 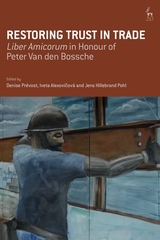 In this timely book, leading experts and friends of Peter Van den Bossche, including his mentors, colleagues and PhD candidates, come together to pay tribute to his work by exploring, from a legal perspective, what can be done to restore trust in trade, focusing on: (1) ensuring a robust institutional framework that promotes rule of law over power politics, (2) safeguarding the integrity and effectiveness of trade dispute settlement, and (3) ensuring that substantive international trade rules appropriately balance trade and non-trade interests. 1. Effecting Global Economic Governance Th rough the WTO: One Step at a Time? 10. Do PPM Concerns Have A Future? Denise Prévost is Associate Professor of International Economic Law at Maastricht University. Iveta Alexovicova is Assistant Professor of International Economic Law at Maastricht University. Jens Hillebrand Pohl is a lecturer and doctoral researcher in International Economic Law at the Faculty of Law, Maastricht University.